BENTONVILLE, Ark., Jul. 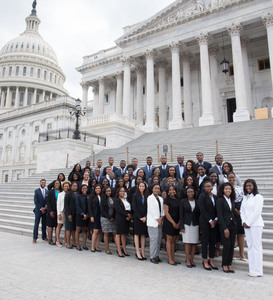 24 /CSRwire/ - Today, Walmart announced $2 million in grants to organizations working to expand internship opportunities for diverse youth populations, the Congressional Black Caucus Foundation, Inc. (CBCF) and the Congressional Hispanic Caucus Institute (CHCI). The grants build on previous Walmart funding to the two nonprofits, bringing the company’s total investment to more than $6 million over the last several years. The funding will help provide career pathways on Capitol Hill for students and young professionals through education and hands-on experience in the nation’s capital. Walmart has a long history supporting diversity and inclusion to create equal access to opportunity. Recently, Walmart and the Walmart Foundation granted nearly $4 million to organizations helping to promote access, equity and inclusion among diverse populations. The funding was part of the Foundation’s Diversity & Inclusion competitive grant competition, which provides support to initiatives with measurable impact on and demonstrated reach into diverse communities including African Americans, Hispanic/Latino, Native American, Asian American and Pacific Islander, women and girls, the LGBTQ community and individuals with disabilities. For more information on Walmart’s commitment to diversity and education, please visit https://corporate.walmart.com/global-responsibility/opportunity/diversity-and-inclusion.